luchbox is nice if you want to add analog to your palette. i’d recommend something to send cv from your computer to the modular - expert sleepers or dc-coupled interface - then you can generate interesting modulation in the computer. 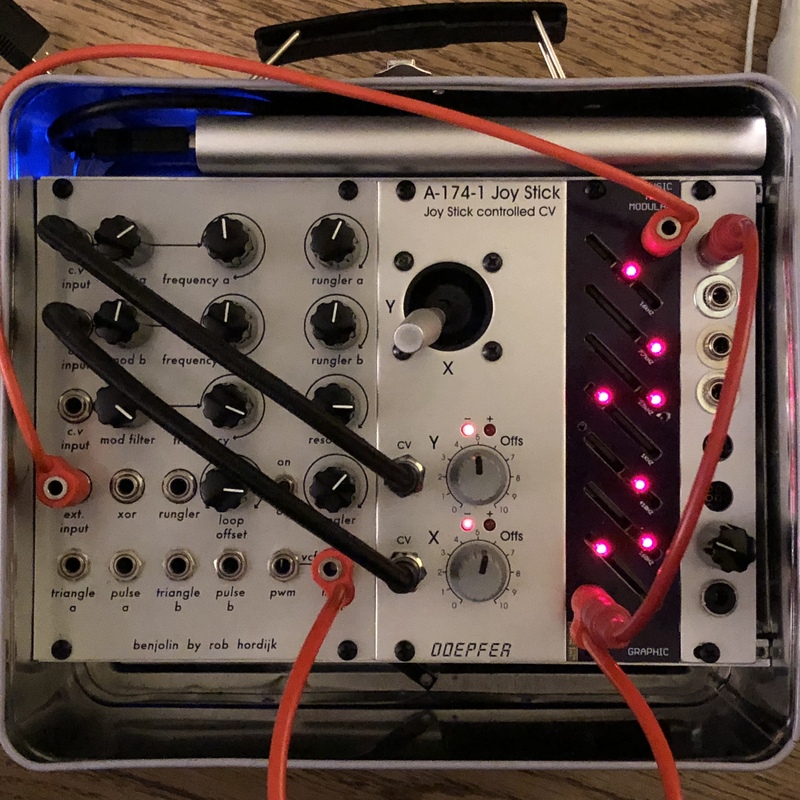 i also like to use my modular as a fx send/return with the computer. 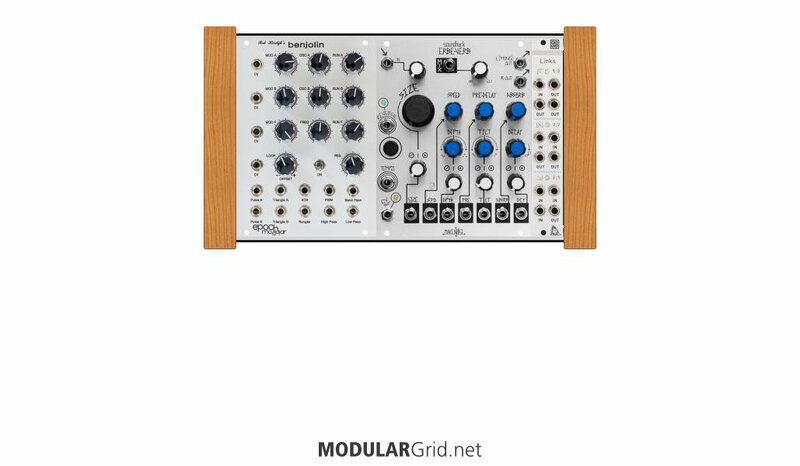 It’s weird, I’ve thought about this, but I actually feel like the thing I’m missing from the modular world in my computer isn’t analog, but interaction. Analog emulators sound fine to my ears, but I feel like with those I likely wouldn’t be able to get to as many sonic/musical permutations of the arrangement as I would with a physical thing. That’s more the part of it that justifies the price. It’d be nice to just have something separate from the computer that explores the possibilities behind subtractive-ish synthesis. That’s kinda my mindset there. But ya know I could always add a DC interface as a separate thing too. Great thread. Fuelling my lunchbox dreams! Does anyone have thoughts/experience regarding portable power? I’d love to bring the synth around outdoors without a generator in tow. But yeah, Koma Strom Mobile seems like a solid choice when it is available. Might be of interest to @Net? 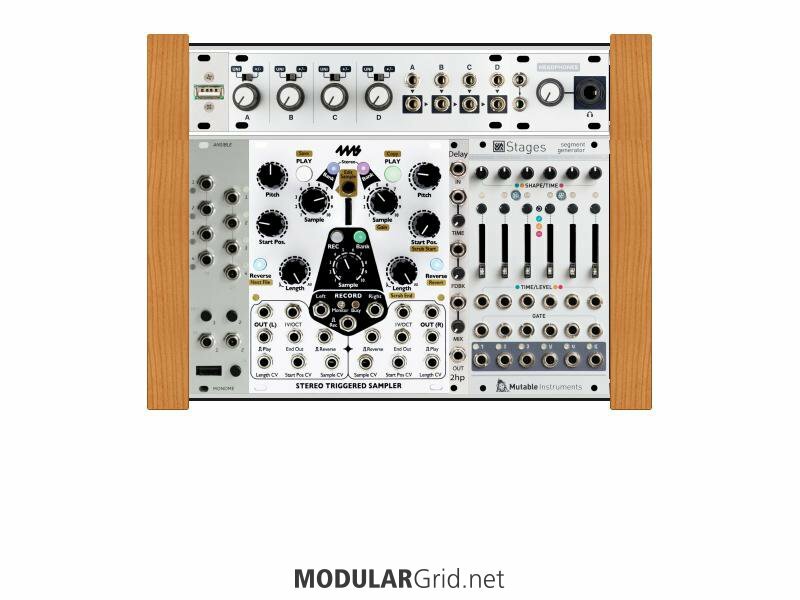 This topic has been on my mind since acquiring a eurorack Benjolin. I do not feel the Benjolin fits in very well with other modules; it’s unruly and demands to be played by hand rather than via CV. So why not break it out into its own little world? I’d jam on this happily! Did you drill out your case for the send return jacks? After having used W/ for a few days now, I’m really getting excited about its possibilities, it leads me to perhaps follow this direction in the future for a little sample/tape box to be used with an arc->ansible. 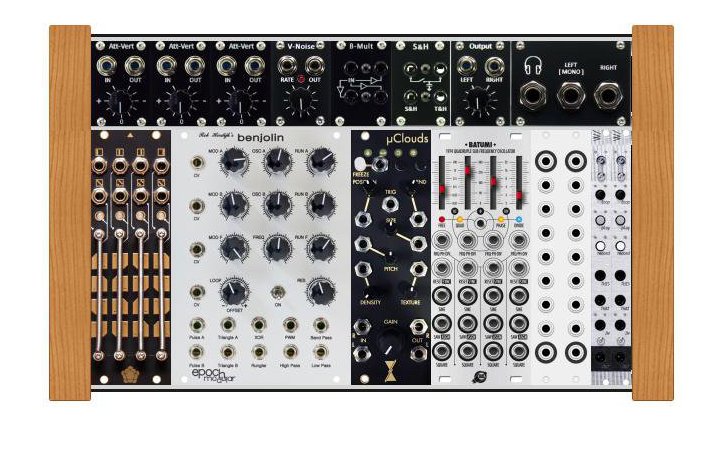 This makes a lot of sense to me - always thought the inclusion of the Benjolin into the eurorack ecosystem was something of an add choice. As you say, it really is it’s own instrument. The ErbeVerb makes sense to me - what role are you imagining the Links playing in this setup? …but I do not know for sure and welcome other mixing suggestions. I will know for sure once the necessary pieces arrive from other lands and plan to report back here. o that totally makes sense! I don’t know what else you’d use within that hp limitation. I saw the instrument @mrsoundboyking posted and sketched out something with w/ and micro coulds in it… then @geh2oman posted something similar. I’ve never used any of them admittedly… but it works in my imagination. What happened to that EQ? Did it never made it to production?